Everyone needs to have an attractive skin. Nature has given us beautiful skin and it is up to us to maintain it. In order to increase the lustre people resort to many beauty parlours. Many of these are big scandals and they do not benefit anyway. People resort to make money out of people who have these motives. It is always a waste of money. The chemicals used on the faces will provide temporary benefits and will greatly harm the skin. They will make things worse. As usual facial using natural means is beneficial for the skin. By providing nutrients it retains the glow and moisture in the skin thus making it look healthy. It does not cause any side effects. Add two tablespoons of honey and lemon juice in a bowl. Stir it well till the honey gets dissolved in the mixture. Wash your face and do not wipe. Retain the moisture on the face. Then apply the mixture on your face. Leave it for about quarter of an hour and then wash your face. The mixture makes your face glow and radiant. They both are important for the skin either taken externally or internally. Take half a cup of oats and add a cup of warm water to it. Leaving it aside for five minutes will make the mixture become so rigid. It must be then applied on the face in a circular motion. It helps to remove the blackheads on the nose. Washing it with cold water will make the skin smooth. The French considered the tomato as the love apple. We must take a tomato and squeeze into a pulp. Applying it on the face has many benefits as it has many natural bleaching properties. Then we must wash it with cold water. SEE: Do you know any Best oils for Hair growth ? It is also known as green apple. Applying it on the face helps to remove the dead cells and makes the skin to glow. It also enhances the blood circulation. Take a ripe papaya fruit and mash it nicely. Add curd or honey to it and apply on the face. It helps to better the skin condition and provides lustre to it. Take a cup of rice and grind it nicely till it becomes a fine powder. Add milk to it to form a paste. Then apply it on the face and scrub nicely for about quarter of an hour. The paste will fall when we try to scrub it on the skin. Washing the face with cold water will provide us with a glowing skin and an improved blood circulation. Do you know: How to Reduce Body Heat ? Ice cubes help to improve the blood circulation in the face. Before going to any party if we apply the ice cube on the face it will provide a lustre to the skin that will last longer. Adding few drops of moisturizer to the ice cubes before applying on the face will result in the moisture of the skin lasting longer. Add a cup of water to a bowl of bleaching clay. Let it remain for about ten minutes. Then apply it on the face and let it remain for about about quarter of an hour. Wash it before it dries because it make the face more glowier making it artificial. Add a spoon of sugar to a cup of lemon juice. Add also two spoons of olive oil to it. The sugar will relieve the face off dead cells, lemon juice will provide a facial bleach to the skin and olive oil will provide moisture to the skin. Take a little of turmeric and add milk or water to it. Apply on the face and leave it for about a quarter of an hour. Do not apply too much of the paste on the face because it will make the face look yellow instead of imparting a healthy glow. Add sandalwood powder to a cup of water or milk. Adding it to rosewater is considered to be the best. Applying it on the face will impart moisture to the face. Let it remain for about a quarter of an hour. Wash it then with cold water. Crush the jasmine flower and add two tablespoons of honey and sugar to it. Mix them properly and apply the mask on your face. After a quarter of an hour wash with cold water. It will result in lightening the skin colour. Take a potato and do not peel it. Dip it in water for about ten minutes. Apply it on your face. It will act as a natural bleacher and restores the skin condition. In a cup of lemon juice, add a spoon of lemon juice and a tablespoon of turmeric. Stir them well. Apply them on the face and wash it with cold water. It will enhance the brightness of the skin in minutes. Milk provides wondrous benefits to the body. Add half a cup of lemon juice to a bowl of milk and stir it well. You may also further add yoghurt to it if you want. Deface it well on the face, neck and the visible regions of hands as well. Let it remain for about twenty minutes and wash off well with cold water. This makes the skin smooth in those areas on which the mixture was applied. Add saffron powder to a bowl of fresh milk cream. Leave them overnight. Apply them in the morning and wash it off after half an hour. The saffron imparts a glossy color to the skin and the milk smoothes the appearance. Almonds provide the body with wondrous benefit when either applied on the skin or taken internally. Grind the almonds into powder. Add honey, two tablespoon of yoghurt and rosewater to it. Apply on the face and let it remain for about half an hour. Wash it with cold water and then apply moisturizer. This will help in having a radiant skin naturally. Take two or three orange peels and crush them. Add a few drops of rosewater to it. Apply them on the face and wash off after fifteen minutes. This imparts a glowing skin to it. Take two or three tea leaves and boil them in water. Remove it from the flame when it begins to impart the color to the water. Allow it to cool. Add two spoons of brown sugar and fresh cream and stir well. Apply it on the face and wash off after twenty minutes. Take two or three handful of curry leaves and grind them till they become powder. Mix them with bleaching clay and apply the mixture on the face. The curry leaves will clean the face off dirt and bleaching clay will impart texture to the skin. Take a ripe banana and smash it well. Ripe banana will stick to the face well. Add olive oil to it and mix it well. Apply to the face and wash after twenty minutes. You can also mix egg white with the smashed banana. Treat your face with the paste and wash them after fifteen minutes. 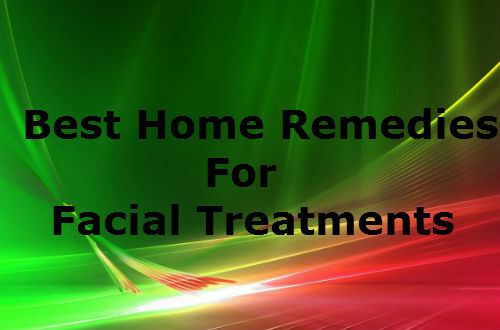 This helps in restoring the healthy color to the skin.